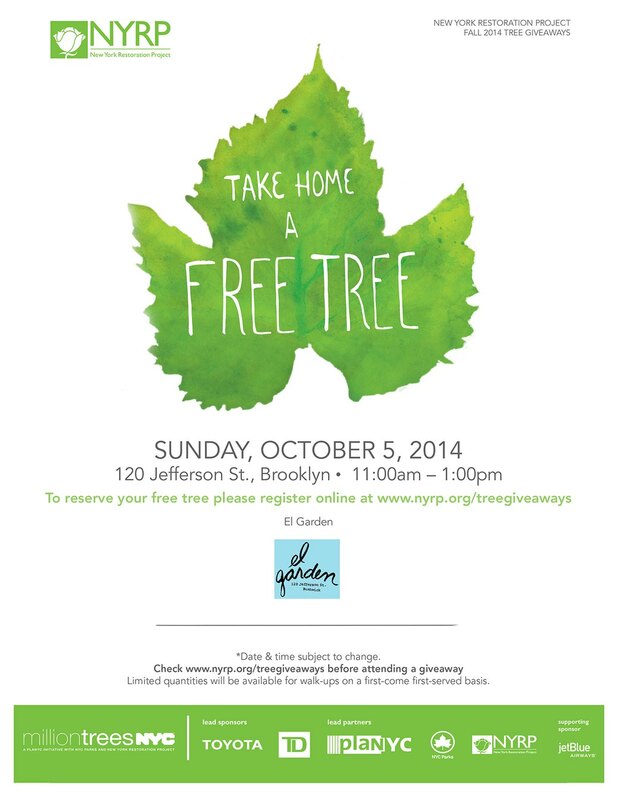 Get a Free Tree for Your Front/Backyard in Bushwick This Sunday! Guys, you know how we all are jointly guilty of bitching about the lack of trees in Bushwick? Well, now we can change that and get your own tree for your front or backyard! Non-profit organization New York Restoration Project (NYRP) is hosting a tree giveaway this coming Sunday, October 5 from 11PM to 1AM at EL Garden (120 Jefferson St). Still need more persuasion? They'll be serving free food courtesy of Archie’s, Hops and Hocks, and the Bushwick Food Co-op! Are you seeing yourself already napping under your own Bushwick tree? So register here and pick up your tree on Sunday!